Reptiles fascinate us all, myself emphatically included. Yet, most people know little about them. The amount of knowledge and expertise behind the keeping of dogs and cats over thousands of years does not prevent too much abuse of those animals, but at least that expertise is, with major blips along the way, more or less well-established. With reptiles, it is still a "wild west" era when there is much less empirical evidence as to what constitutes best practice. So, everyone with an interest in making it sound like a humane and somewhat easy proposition to keep captive reptiles becomes an "expert," frequently contemptuous of fact-based criticism. We know that reptiles are ectotherms, meaning that the temperature of their bodies is mainly (but not exclusively) determined by external conditions. The common term "cold-blooded" is a misnomer, as their blood can be quite warm (and, in some larger individuals, that warmth can be generated internally, although not via the same metabolic processes used by birds and mammals). They can live in a range of conditions and temperatures, but only if the outside conditions allow them to maintain healthy body temperature. However, that range varies enormously from species to species and from individual to individual within a species. On the broadest scale, this is obvious. Few would keep a bearded lizard, a desert species, in the same terrarium designed to house a pond turtle. But, sadly for the animals, consideration of individual needs does not go much, if any, further than that. 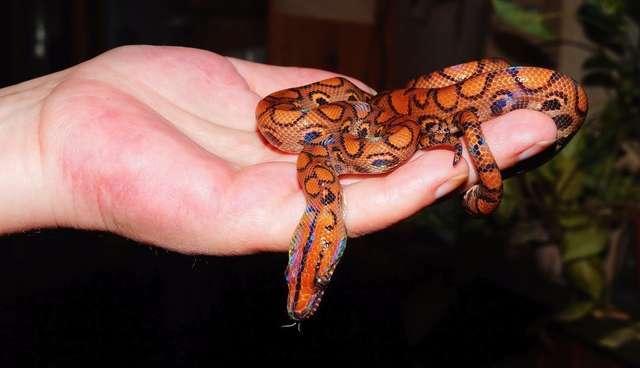 Virtually all sellers and dealers of "pet" reptiles try to minimize the amount of information and effort required to care for species and individual animals. And, they get away with it because, for most people, disease, illness, stress, or suffering in reptiles is difficult (if not impossible) to determine. I've seen reptiles on the verge of starvation offered for sale to an unsuspecting public. The death rates of captive reptiles (and amphibians, collectively known as "herptiles" or "herps") are far greater than those of any other commonly-kept "pet" species. Reptiles seek to keep a specific body temperature for any given period of the day, or a specific activity, which varies according to the individual's specific needs and activity. There are times when they need to be one temperature and times when they need to be another. Thus, they must seek, within a variable environment, to adjust postures and to move from one location to another that provides "microclimate" variations too subtle for us to easily detect. That they can do this owes everything to their having evolved within the ecological conditions where they naturally occur. Accurately replicating those conditions is required for their overall health and well-being. Such bodily functions as digestion are seriously, and negatively, affected by the wrong temperature - and yet, that cannot be seen by simply looking at the animal. In nature, reptiles opportunistically seek optimal conditions. I remember, during a visit to the Galapagos Islands in the 1960s, seeing a neat row of marine iguanas lined up next to a shed, with their bodies in the shade and their tails in the sun. We often see turtles basking on a log or sand bank, but may not notice how they almost always align themselves at exactly the same angle to the sun - not just to be in the sun, but to control the amount of heat at a specific angle required at that time, and just for as long as required, with the option to seek alternate conditions at will. On any given sunny day, put your hand on a flat rock in the sun, on a rock that's slanted away from the sun, on nearby sand, on nearby loamy soil, and then on leaf-litter, and then on each in deep shade. Each will be a different temperature, even though you will probably notice little temperature variation (except when moving from direct sunlight into shade). For us, or for a dog or cat, that's adequate - but, not for a reptile. In captivity, such ranges of options rarely exist. Often, heat is provided by one source - perhaps a heat lamp - and there is simply a gradient from warmer to cooler. Excepting turtles and their kin, reptiles are tubular in shape, extremely so in the case of snakes and some lizard species, and may thus require the even distribution of heat that one or two heat sources cannot provide. Consequently, one part of the animal can become too warm, while another is too cool, and the degree of thermoregulation required for good health is simply not provided. The situation with turtles, terrapins, and tortoises is complicated by the variability by which various parts of their anatomy absorb heat. The situation can be so dire that a confined reptile, needing heat, and unable to get the required distribution of it across most or all of his or her body, will have one part of his or her anatomy too close to the heat source for too long, and suffer burns. Or, several reptiles in the same container will compete, resulting in some getting too much heat and others getting too little. You can visit nearly any pet shop that sells reptiles and see the unfortunate animals kept in conditions totally inadequate to their needs, and simply not recognize that there is even a problem. Other issues of concern to humanitarians and conservationists are to be explored in future blogs.